Being the foremost names of the industry, we are betrothed in providing a wide series of Integral Tee. Owing to high demand, our products are available in varied specifications. 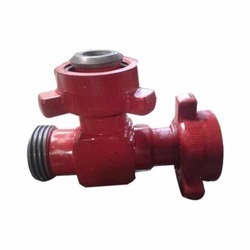 Integral Flow Tee are manufactured from forged alloy steel and are designed and tested for 15, 000 PSI. These fittings are used high-pressure discharge line, input line, a temporary flow line, well testing Services. We are one of the reputed manufacturer and supplier of a wide assortment of All Socket Tee. The whole range is dimensionally accurate, ruggedly constructed, environment friendly and hard-wearing. Furthermore, it is easy to install, has high tensile strength and resistant to corrosion and fire. 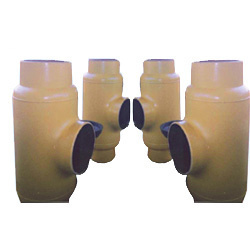 VKVC flow tees are used in pipeline systems at branched connections and pig launcher and receiver systems. The tees can be barred or sphere. Barred tees help to negotiate the branch. Tees are available customized as per customer request. Sphere tees are available with Weld Ends and/or Mounting Flanges. Depending on the application Weld Caps or Forged Rings are incorporated in the tee design. Sphere tee may be designed and manufactured to most oil and gas Industries recognized piping or pressure vessels codes (ASME B 3.14 & 3.18).